A truly gifted stylist, one of Denise’s unique techniques is her ability to reproduce the sound of a trumpet with her voice! 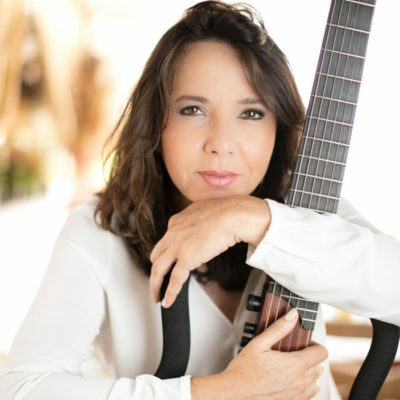 This amazing artistic characteristic, combined with her singing voice and beautiful guitar playing has opened many doors, resulting in several invitations for TV interviews, such as Programa do Jô, Hebe, Amaury Jr., Adriane Galisteu, and others. In 2007 her international career begun and she performed in countries such as Portugal, Ukraine, Senegal, Venezuela, Israel, Canada , France, Slovenia and USA.